Oh boy, regardless of whether you love or loathe YouTubers, there is 100% a comedy show coming soon that you NEED to watch. 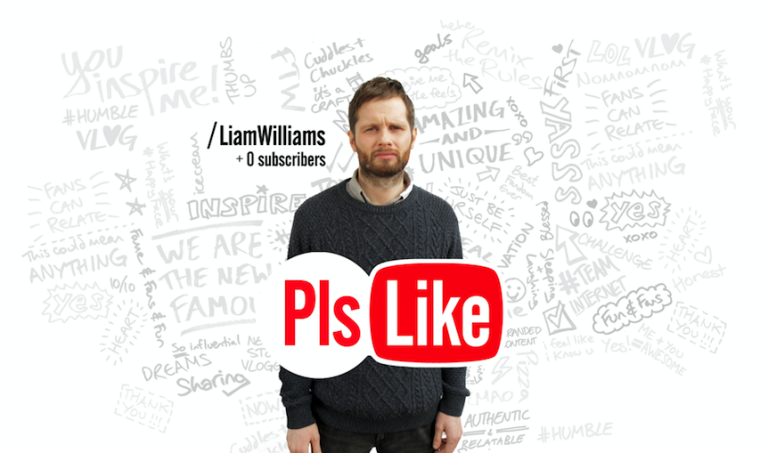 Coming from the comedy brains of Liam Williams and BBC Three, 'Pls Like' is a six-part mockumentary series parodying the astronomical success of YouTube vloggers and their unconventional brand of content. ChloeSass: The fierce and feisty black comedienne. She's got "sass" in her know so you just KNOW she's gonna try to be funny. CharlieSouth: Basically, Joe Sugg. The British YouTube heartthrob who just hangs out with his bros doing challenge videos. Bombzy: The prankster who also seems to get his videos trending before being exposed as fake. What's good Joey Salads? Millipede: The beauty guru? The yoga coach? Who knows, this character looks like a mess. Is it supposed to be Zoella?! Nozomi: DIY hacks and lifestyle tips because she lives in a penthouse suite in New York but totally just wants to be relatable. JohnnyJackson: The gamer. Just look at that freaking cap. I bet he only plays Happy Wheels. PollySprong: The peaceful, vegan activist that likes to call out Millipede for using eggs in her cake videos. Liam Williams: This is the guy who wrote the series and will painfully try to make what he believes are YouTube videos even though he has barely watched them before filming began. Alex Moody, the commissioning editor for BBC Comedy had this to say about the show: "We could not be more excited about launching Pls Like on BBC Three. Liam's brilliant smart satire about online fame has attracted a hugely talented cast. Together they lampoon a world that is fascinating, hilarious and awful in equal measure". There's no trailer for the show yet, but we can announce that it's officially launching on the BBC Three YouTube channel on Saturday 11th of February. Will you be tuning in?